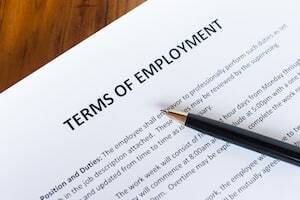 A properly drafted employment agreement can be a tremendous tool to set out the obligations and expectations of the employer and employee and to minimize the risk of future disputes. Since they are typically prepared at the outset of the employment relationship, this is the best time for the employer to memorialize the parties’ respective rights and obligations, and for the employee to utilize the leverage s/he has to negotiate for more favorable terms. The Atlanta employment agreement lawyers at Fidlon Legal are highly experienced at drafting and negotiating employment agreements for executives, professionals, business owners and others. An employment agreement is often the most important document between the employer and employee. It is therefore critical to ensure that is carefully drafted to protect your interests and comply with the law, that you understand everything you are agreeing to, and that you negotiate to obtain the most favorable terms. Whether you are a business owner looking to draft an employment agreement or an employee who has been presented with one, the Atlanta employment agreement attorneys at Fidlon Legal are ready to assist you.